It’s taboo. It’s not polite. It’s personal. These are all things you’ve probably heard when it comes to talking about money. Keeping your lips sealed about your personal finances is pretty common, but your financial future may be in jeopardy if you’re not willing to have a straight talk about retirement planning. Straight talk about retirement can give you a better future. Unsurprisingly, only 9 percent of baby boomers frequently discuss money matters with the people closest to them, according to TransAmerica. Being shy and avoiding a straight talk about your situation could be hurting your prospects for a secure and happy retirement. Peer pressure does not end in middle school. We feel the pressure as parents, in the workplace and sometimes even about when we will retire or what to do in retirement. However, peer pressure is not always bad. Peer pressure can also encourage us to make better decisions. Studies have shown that people who have friends with high financial intelligence become more financially intelligent themselves. 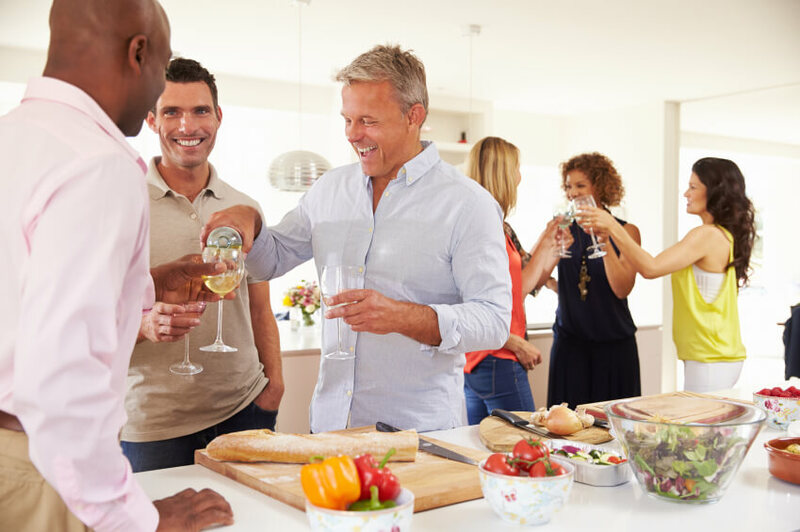 And, just as you are more likely to exercise if your peer group exercises, you are more likely to save for a secure retirement if your friends are saving as well. Retirement is a big deal — a really big deal. By talking about it with friends and family, you are helping yourself and your loved ones by bringing the topic to the forefront. Retirement planning is too often done in secret or not done at all. However, having straight talks about it can help make the issue more prominent. Talking about retirement can enable us to find new ideas for making it work and ultimately be more prepared. If you are afraid of sounding dumb, try reading articles or using a retirement calculator before talking to people. The NewRetirement retirement calculator can help you assess your own situation and give you a really thorough understanding of all the components of retirement planning. Retirement planning is much more than investing. If you’re not open about your retirement situation, chances are you’re not all that prepared to pay for your lifestyle after you leave the workforce. No one wants to be a burden on their family, but without a proper financial plan in place, that’s exactly what could happen. If you outlive your money and can’t pay for your ‘golden years,’ your family members could end up paying for your care or living expenses. Most Americans aren’t prepared to help out a family member financially during retirement. In fact, only 25 percent of of current workers expect they will end up providing financial support for a family member other than a spouse in retirement, according to a 2016 retirement survey from TransAmerica. More than half of workers say they don’t expect to provide financial support for a family member. If you think you won’t need help, you’re like most Americans. Just 11 percent think they will end up needing financial support in retirement, according to the study. However, if you’re secretive about your situation, your family may very well end up being the ones you turn to. As teenagers we might have been embarrassed to talk about acne or the girls or boys we liked. But we did talk and learned that everyone else had similar problems. In our middle ages, we might have been embarrassed to discuss problems like not advancing at work or issues with our children. But if you did talk, you found that everyone else experienced the same types of dilemmas. As we approach retirement, we may be worried that we are the only ones who did not save enough or know how to create retirement income or when to start Social Security. However, I guarantee you that you are not alone. Study after study shows that only a handful of people are actually prepared to retire. The rest of us are trying to figure it out. And we can help each other find the right answers. When it comes to other areas of your life—work, relationships and lifestyle choices—your friends and family members might be the first people you turn to for advice and comfort. Why should financial advice be so different? If you’re not reaching out to the people you know about retirement finances, you’re likely missing out on some important advice. The people you know may or may not have all the answers, but just talking about things can sometimes bring clarity and a fresh perspective to your plans. Use Tools. Read Articles. Share Information. Ask Questions. Talk to Friends and Family. You are reading an article about retirement planning, so you know a thing or two about the topic. Want to learn more? The NewRetirement retirement calculator is an easy to use tool that gives you really great information. This tool was recently named a best retirement calculator by the by the American Association of Individual Investor’s (AAII). You’ll feel more confident about talking with friends and family if you’ve started a retirement plan for yourself. Creating a retirement plan can help you get your hands around the various components. Ready to create your retirement plan?